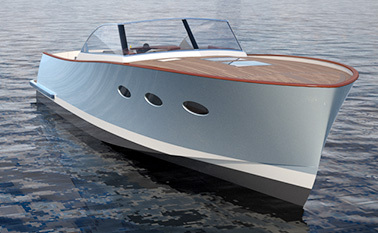 A while ago boatbuilder Thomas Luetje, naval architect Rolf Vrolijk und broker Arne Schmidt conceived a powerboat with plain and pretty lines. Their CLASSIC COASTER became a graceful weekender for the fast ride across local waters, a picnic somewhere afloat, or the summer cruise in the Danish archipelago. 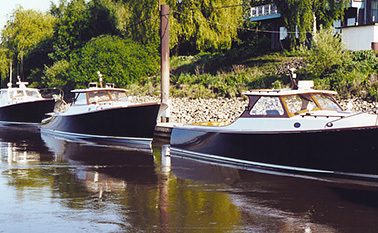 Several boats from 30 to 40 ft were built. Partly with jet propulsion, suiting well to shallow water and making immediate stops at full speed easy. Partly with the common Z-drive. With its discreet elegance and tasteful details a tasteful choice for the connaisseur looking for something special. 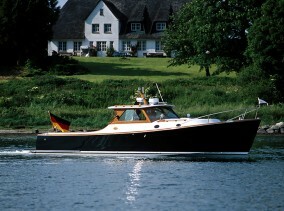 Even a handsome boat like the CLASSIC COASTER can be refined to suit better to contemporary requirements. 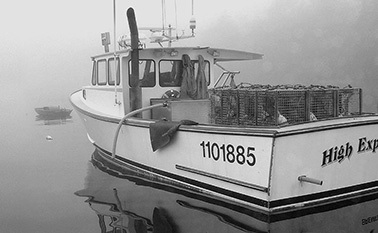 The CLASSIC COASTER is inspired by the Lobster Boat as common fishing tool at the eastern seaboard of North America. 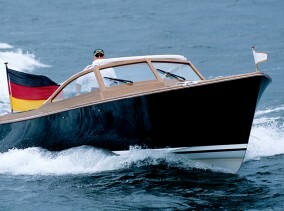 The Luetje story began as a small enterprise building powerboats more than 50 years ago at the River Elbe in Hamburg.